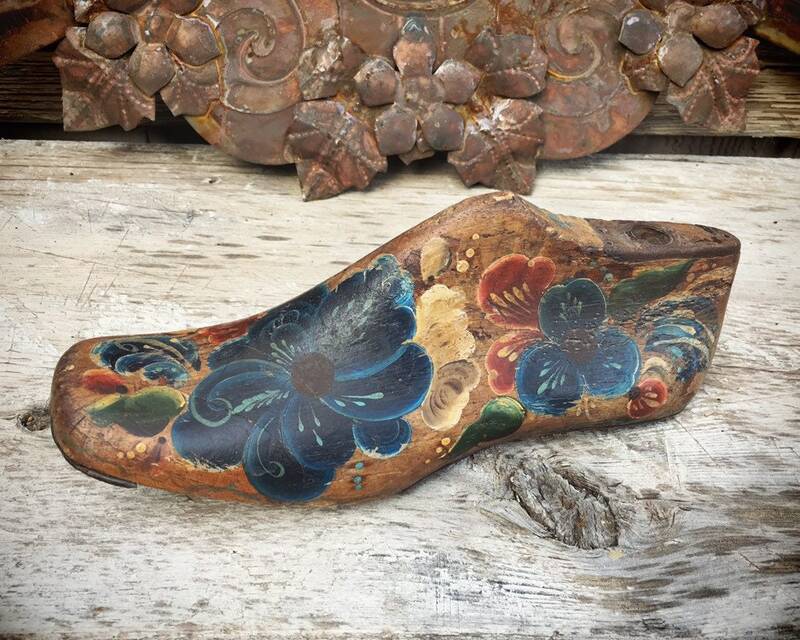 This antique shoe form would have been quite cool as is yet it's made all the better by the beautiful and well-rendered painting of flowers on surface. This comes from my personal collection, and it is one of the earliest vintage finds I acquired. I've had it for at least 30 years, and it was quite old when I got it. 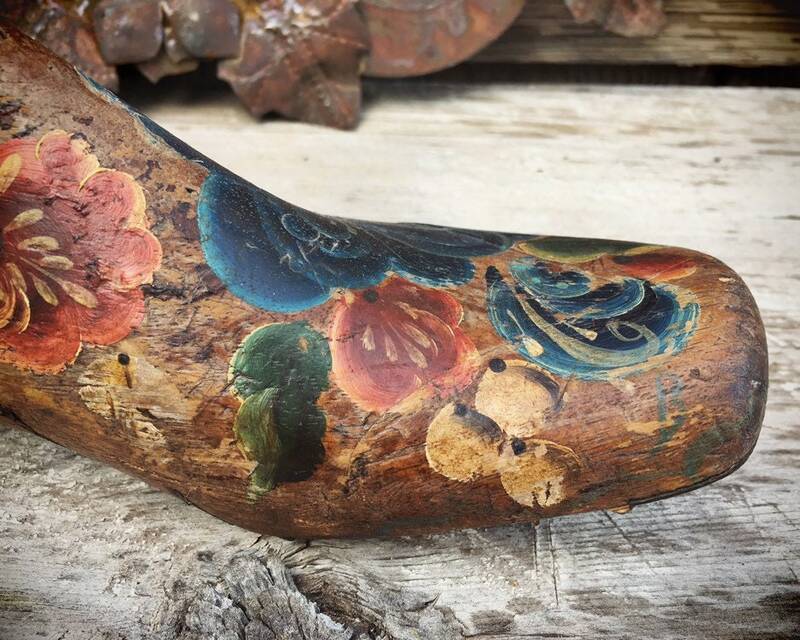 I've used it as a bookend as well as a shelf décor, and the person at the antique shop where I bought it so many years ago said that it was the form of Mexican tole painting called "olinala," which is named for the town in Guerrero, Mexico. 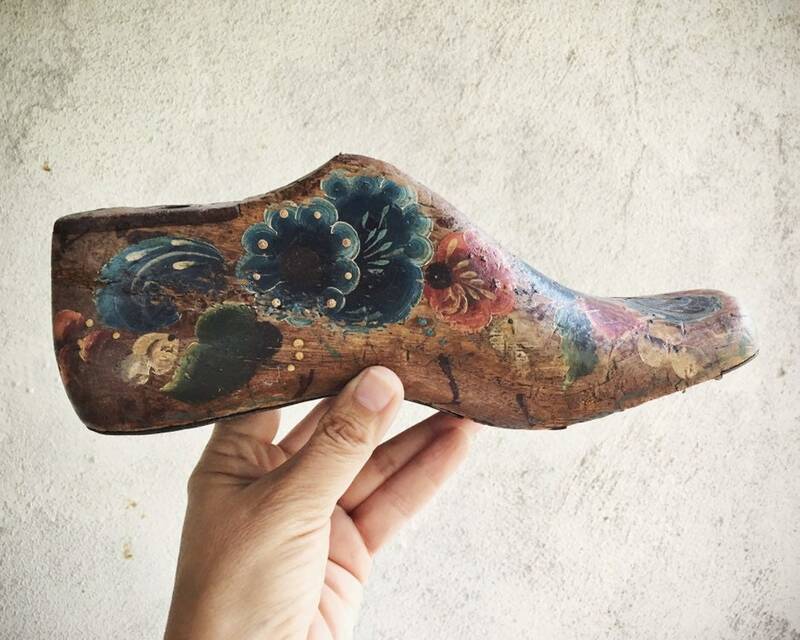 This is the style of one-stroke painting you see on wooden trays or "bateas," as well as wooden furniture. 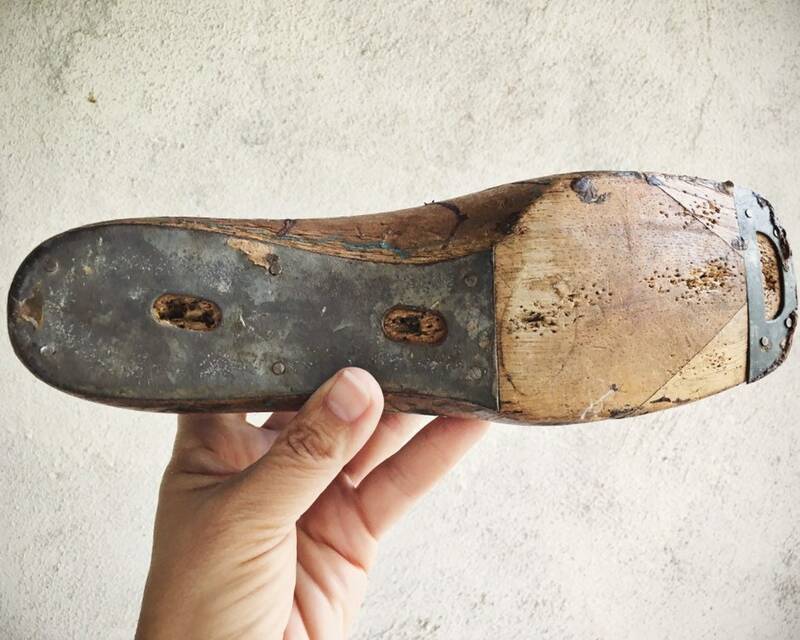 That style is found throughout Europe, East and West, and perhaps was brought to Mexico via Spain. 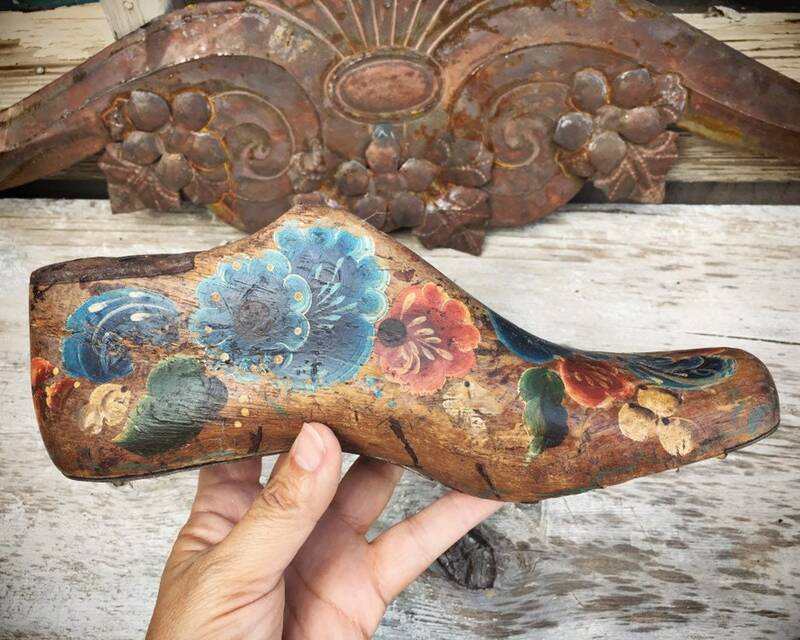 Long ago the paint style was applied to dried gourds that would be used for serving a form of liquid chocolate to nobility, and later it was used on European style furniture and trays. We're not sure this came to New Mexico via Mexico; it could also have been a European piece that made it's way here. 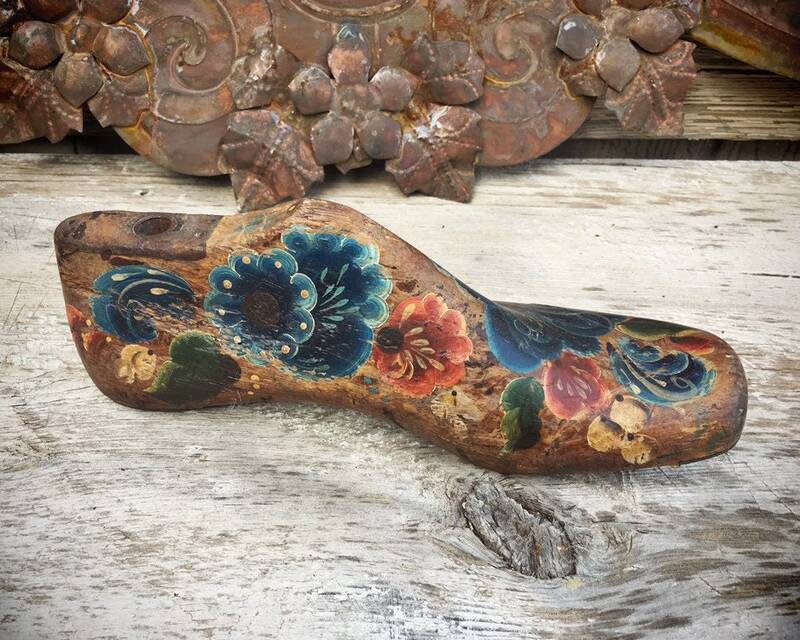 In any case, for the collector or admirer of antique shoe molds, it is certainly a beautiful and unique piece. 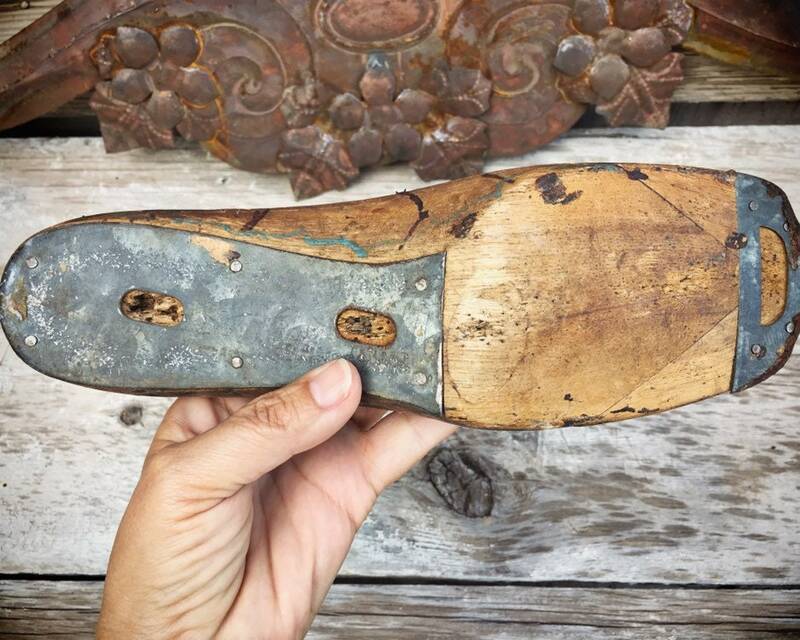 The wooden foot or shoe form measures just over 10" long by just over 3-1/4" across at the widest point and 4-1/4" tall. 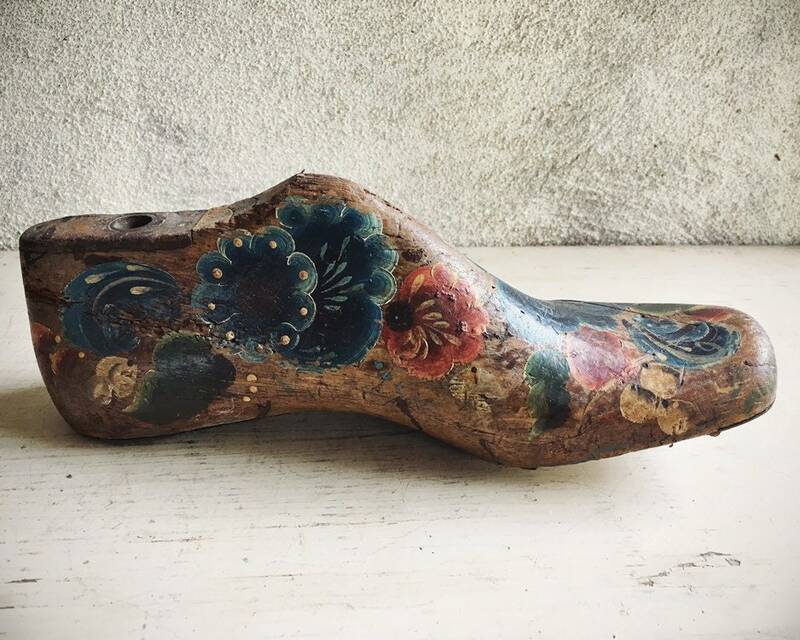 The shoe form has quite a bit of wera, and since the painting on it is quite old itself, there are places where it has rubbed away from touch. But overall it is in good vintage condition. The shoe weighs about one pound unpacked. 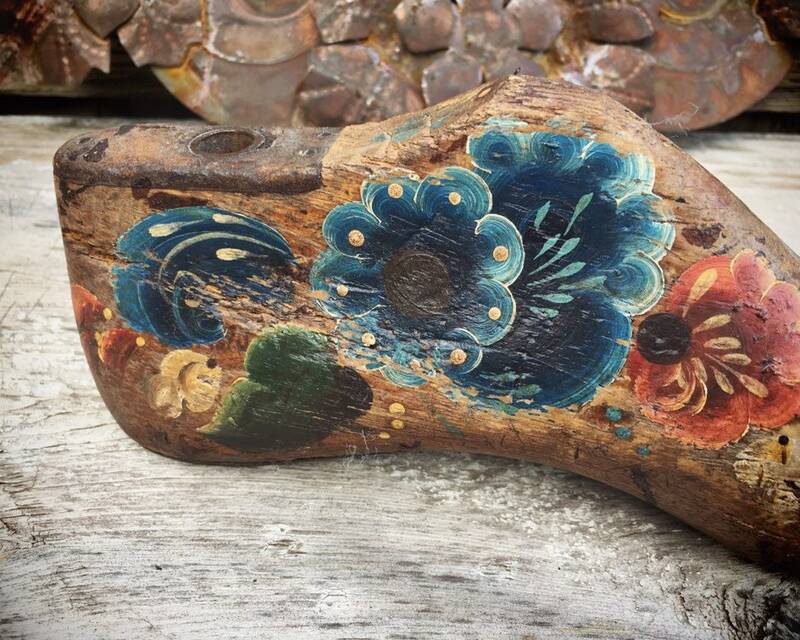 A collectible piece that has a distinctly Old World feel.